For additional information about this book, visit the website www.ahomeforabigail.com. Alone and abandoned on a deserted street, a dog tries her best to tell people she needs help. When she has almost given up—a kind lady stops . . . .
Join Abigail on her journey as she becomes a beloved family member in a forever home. 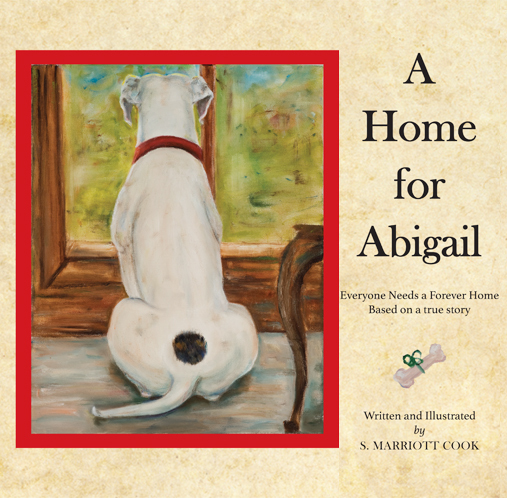 Based on a true story, A Home for Abigail is a book to be enjoyed by pet lovers of all ages. S. Marriott Cook lives in Texas with her husband, Richard, and their furry and feathered “children.” She has been an animal lover ever since her pet turtle was her best friend and confidant. As an artist, Sandy hopes to convey the special places pets hold in our hearts. To see some of her portraits of pets and wildlife, visit www.smarriottcook.com.